Craig and his wife Kaitlyn moved to Jersey City in the spring of 2017 with a vision to plant a vibrant, diverse, Christ-centered church to serve the people of their new neighborhood. A Texan by birth, Craig grew up in Nigeria, where he first received his call to ministry, before moving to New York in 1996. For nearly 10 years, Craig served as a Worship & Creative Pastor, eventually helping launch the Hope Church NYC movement and equipping and training worship and production teams before taking the next step of planting a church on his own and taking on the role of Planter/Lead Pastor at Hope Jersey City. Craig completed his Masters of Divinity at Alliance Theological Seminary in New York. After growing up in New Jersey, Jeremiah and his wife Juliana recently moved back to join Hope Jersey City. Jeremiah graduated from Wheaton College (IL) with a degree in Bible/Theology. He has served with churches and businesses in Ft. Lauderdale, Randolph (NJ), Detroit, and Houston, most recently working for a privately-held real estate company. In his role, Jeremiah supports Hope's families and neighborhood groups (HopeGroups) as Hope aims to foster Christ-centered communities across Jersey City. Juliana graduated from Wheaton College (IL) with a degree in History and Political Science. She worked as a Detroit Public School teacher with Teach for America before having two kids: Ezra and Eden. Juliana's experience living and working in under-resourced neighborhoods have informed her passion for educational justice. In her role with Hope, Juliana will oversee ministry to children. After 7 years in Australia, Phil, his wife Sarah and their three children moved to Brooklyn in 2016 and New Jersey one year later. Phil graduated with a degree in songwriting from Berklee College of Music and has served as a worship leader for churches in Atlanta, Norwood (MA) and down under. He helps to lead Outside Worship, an interdenominational organization that fosters community and discipleship in worship leading and songwriting. His passion is to see people at Hope Jersey City to experience the love of Jesus firsthand and engage with God in worship. Jimmy accepted the call to Hope Jersey City while in a season of personal spiritual renewal and earnestly praying for an open door to serve in pastoral ministry. For the last few years, he has been working as a software developer in fin-tech and media supply chain industries. 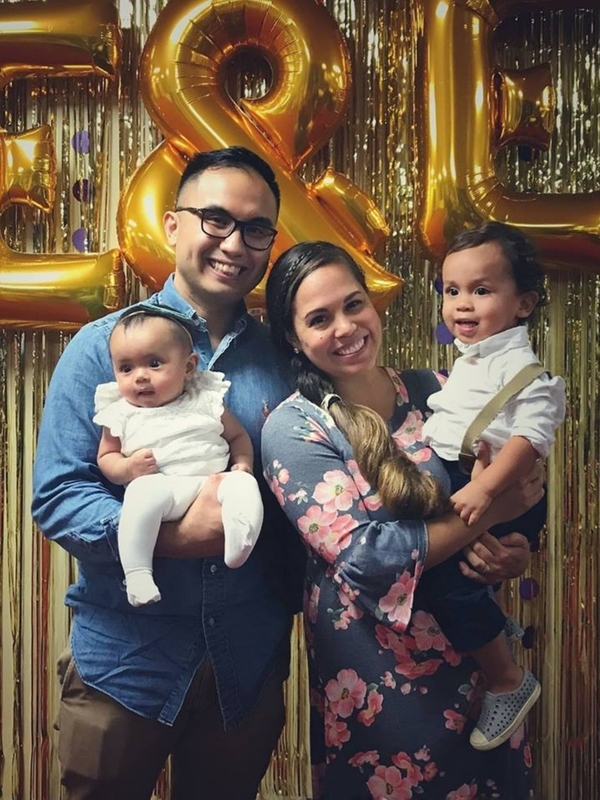 Prior to working in tech, Jimmy and his wife Janice would travel to serve at youth events and retreats where Jimmy preached the word and Janice led worship. They have also helped start new churches and pastored both youth and adult communities. Jim has a BA in Philosophy and Literature from The City University of New York. He received an MDiv and MA from Princeton Theological Seminary. His passion is for outcasts and those who have yet to experience "how wide and long and deep is the love of Christ, and to know this love that surpasses knowledge" (Eph. 3:18-19). Devlin McGuire is a PhD student in Biblical Studies/New Testament at Princeton Theological Seminary in Princeton, New Jersey, where he specializes in the theological relationship between the letters of Paul and the Gospel of Mark. His other professional research interests include the synoptic gospels, biblical theology, and hermeneutics. He holds an M.Div. from Princeton Theological Seminary and a B.A. in Biblical and Theological Studies from Wheaton College. Devlin is passionate about global theological education and has taught courses at theological colleges and seminaries in Ethiopia and India, and he enjoys preaching at churches, retreats, and conferences. In his role at Hope, Devlin serves as a regular preacher and is helping to develop the international ministries and partnerships. Dina and her husband, Joe, moved to Jersey City in February 2017 as the Lord opened numerous doors for them to live life with and join the community of Hope JC. A Northern California native, Dina moved to New York City in 2007 to pursue theatre arts - the years since, marked by the challenges of navigating the Big Apple, have led her to cling to Jesus as a lifeline. Dina previously attended Hope Church Astoria, where she met and served on the worship team with Pastor Craig and Kaitlyn. In addition to pursuing her love of theatre arts and music, Dina worked as an executive assistant in finance for eight years. Dina has a heart for women and children and clings to Proverbs 3:5-6: "Trust in the Lord with all your heart, and do not lean on your own understanding. In all your ways acknowledge Him and He will direct your path." Dina and Joe live in "The Village" neighborhood of Downtown JC with their two cats, Mia and Milo.